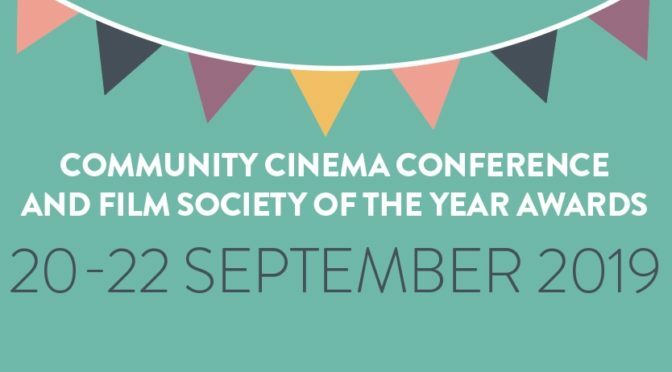 We’re excited to announce that tickets for the 2019 Community Cinema Conference and Film Society of the Year Awards are now available! Join us in Sheffield for the UK’s biggest gathering of community cinemas, film societies and village screens. The weekend will be packed with exciting talks, panel discussions, masterclasses, preview screenings and much more. You will also attend the Film Society of the Year Awards and after party on Saturday night, where we will get together to celebrate the incredible work of community cinemas across the UK! The Community Cinema Conference will take place at The Workstation, Sheffield from 20-22 September 2019. Early Bird and Previous Attendee Passes are available for a limited time only; get your tickets here. More information on the programme will be released soon.